Students involved in FBLA are not only preparing for business careers, they are aiming to be leaders in the business world and certification gives them a head start on their resumes. Certiport (http://www.certiport.com), the official test delivery solution provider for the global workforce and academic markets, today announced a partnership with the Future Business Leaders of America (FBLA) to offer special Microsoft Office Specialist (MOS) certification testing at FBLA’s 2012 National Leadership Conference (NLC). As a Certiport partner, FBLA also qualifies to send up to three students to compete in Certiport's 2012 Worldwide Competition on Microsoft Office in Las Vegas, Nevada on July 29 - August 1, 2012. Qualification will be based on the results of three distinct certification exams: Microsoft Word 2010, Excel 2010 and PowerPoint 2010. MOS certification will be easier and more affordable for FBLA 2012 NLC attendees than ever before, since attending secondary students can take up to three MOS certification exams at the conference free of charge (limited to seat availability). 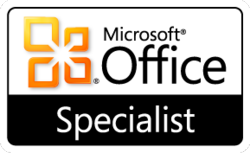 Certiport is the only official provider of the MOS certification program, a globally recognized, standards-based credential for validating Microsoft Office skills. It is the premier credential chosen by students who seek to achieve success in the classroom, build individual differentiation and credibility, and prepare for a workforce where the knowledge and skills provided by MOS certification are in high demand. Registration for the exams is now open and will close on June 15, 2012, or when all openings have been filled. The NLC will be held in San Antonio, Texas on June 29 – July 2, 2012. Certiport is the leading provider of certification exam development, delivery and program management services which include practice tests via MeasureUp® delivered through an expansive network of over 12,000 Certiport Authorized Testing Centers worldwide. Certiport manages a sophisticated portfolio of leading certification programs including: the official Microsoft Office certification program, the Microsoft Technology Associate certification program, the Adobe® Certified Associate certification program, the HP Accredited Technical Associate, the CompTIA Strata™ IT Fundamentals, the Autodesk Certified User certification program, the Intuit QuickBooks Certified User certification program and the Internet and Computing Core Certification (IC³®). Certiport reliably delivers over two million tests each year throughout the secondary, post-secondary, workforce and corporate technology markets in more than 152 countries and 27 languages worldwide. For more information, please visit http://www.certiport.com or follow Certiport on Twitter at http://www.twitter.com/certiport. Future Business Leaders of America-Phi Beta Lambda, Inc. is a nonprofit 501(c)(3) education association with a quarter million members and advisers in over 6,500 active middle school, high school, and college chapters worldwide. Its mission is to bring business and education together in a positive working relationship through innovative leadership and career development programs. The association is headquartered in Reston, Virginia, just outside Washington, DC. For more information, visit http://www.fbla-pbl.org.